Lawrence Francis O’Donnell is an Irish-American man of many talents. Some of his titles include political analyst, journalist, actor, producer, writer, and he is best known as the host of The Last Word with Lawrence O’Donnell. The Boston-born-and-raised Harvard graduate began his career as a writer. In 1983, O’Donnell wrote his first book, Deadly Force, which became a movie called A Case of Deadly Force, for which he worked as the associate producer. In 1989, O’Donnell entered the world of politics, working as the key legislative aide and senior advisor to Irish-American Senator Daniel Patrick Moynihan. While working with Moynihan, O’Donnell also served as the Democratic Chief of Staff to the Committee on Environment and Public Works and the Finance Committee (1993-1995). O’Donnell then returned to Hollywood and started writing episodes for the TV show The West Wing. He also worked as the executive story editor and producer and he appeared in one episode. In 2001, he won an Emmy for his work on show. 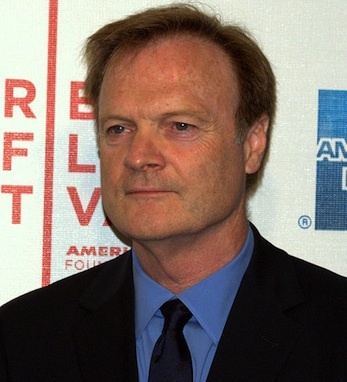 O’Donnell has also written and produced First Monday and Mister Sterling and he often appears in episodes of HBO’s Big Love. O’Donnell made appearances on several political debate programs before obtaining his own show in September of 2010. His program, The Last Word with Lawrence O’Donnell, held the 10pm spot on MSNBC until January 2011, when it replaced the 8pm spot that Countdown with Keith Olbermann once held. O’Donnell has succeeded at balancing the worlds of politics and Hollywood. In November Lawrence O’Donnell moderated a town hall meeting on immigration and talked about his own “Famine” Irish relatives and what they faced in America when they first landed.